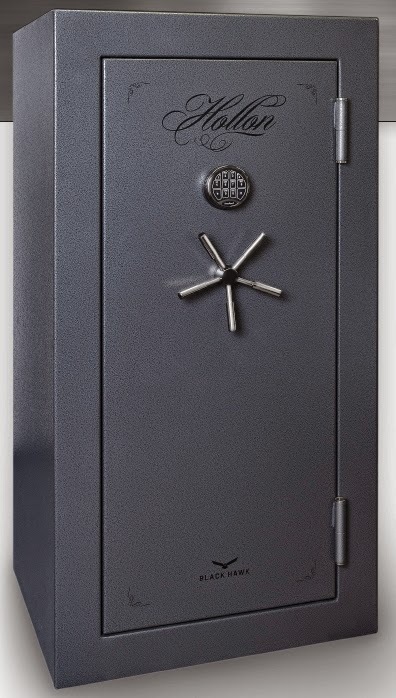 This great safe by Hollon has just been updated to provide even more fire protection! Amazing value for the price point with light kit, power, and door organizer. From 16 to 45 “comfort fit” long gun capacity. At this price point, it is the easy winner of similar brands like the Champion and Liberty safes. 90 Minute Fire Rating to 1400 degrees. Most competitors only rate their safes to 1200. Motion sensor LED Light Kit STANDARD that can be either battery operated or powered by outlet. Drill/Ballistic Resistant Hard Plate with 1/4 inch steel plate on the interior of the door. 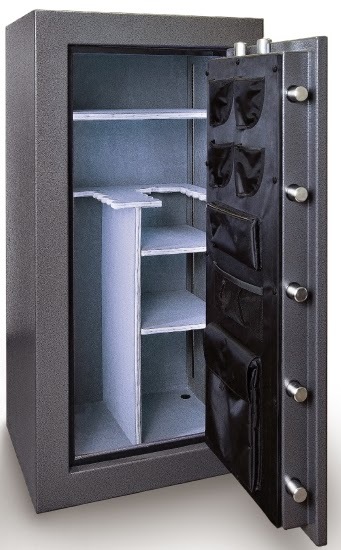 Here’s a comparison of this safe against the Liberty Gun Safe and Champion Gun Safes in the same price range. This comparision was done BEFORE this safe was boosted to a 90 minute fire rating. There really is no comparison anymore. It’s hundreds less, has a better fire rating, and is better built throughout.